Belkin QODE Ultimate Lite Keyboard Case for iPad Review – If you’ve just got an iPad, you might be situated in a dilemma about buying the right case. 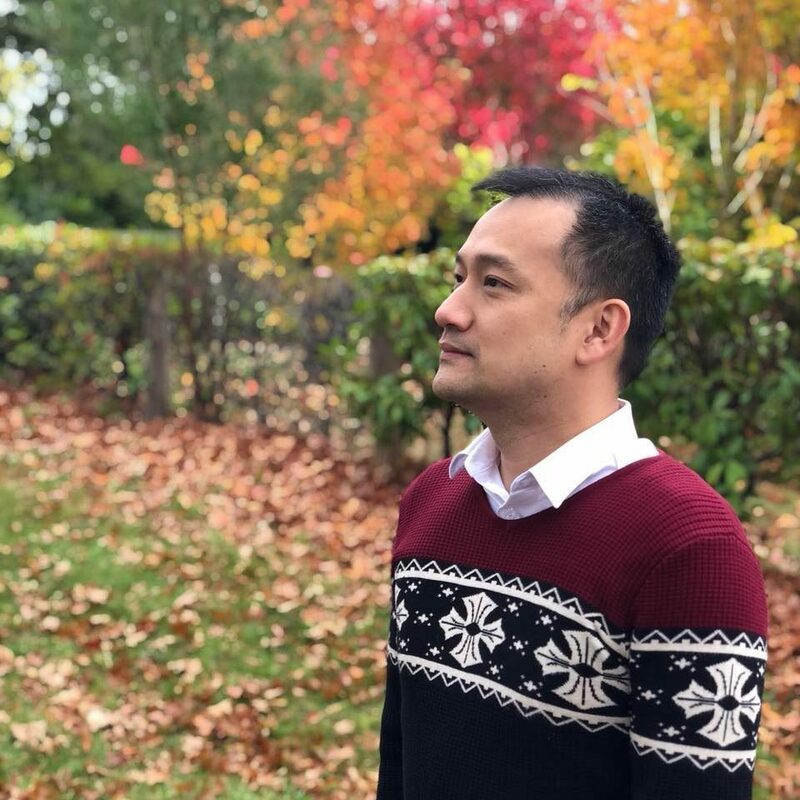 Should I go slimmer in expense of protection? Should I get a keyboard case? Should I get both a protective case and a separate keyboard case? Belkin QODE Ultimate Lite Keyboard Case (for 9.7″ iPad, 6th Generation, 2018) can probably suit all your needs in one single package. 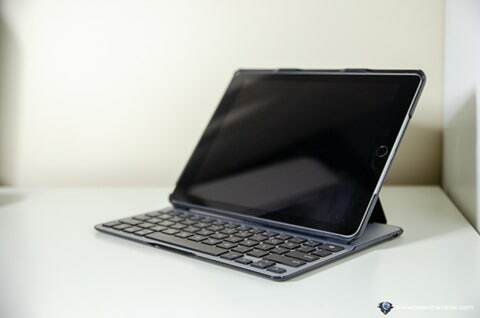 It’s a keyboard case that gives you great productivity on the iPad (typing on a keyboard is always better and faster than typing on screen), but at the same time has a design mechanic to hid itself away so you can hold the iPad in one hand without that awkward feel. 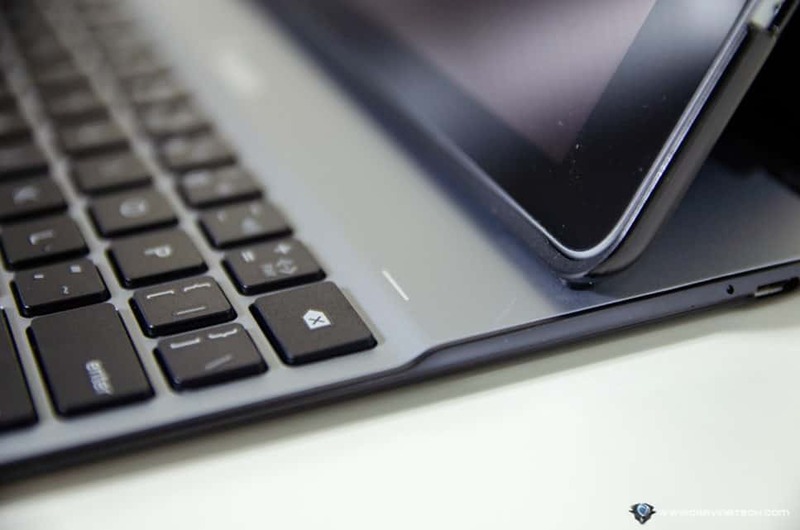 The keyboard itself is aluminium and has a premium look and feel. Belkin only has it in one colour but because the back of the iPad will be fully covered, it does not matter much if you have a Gold iPad, for example. 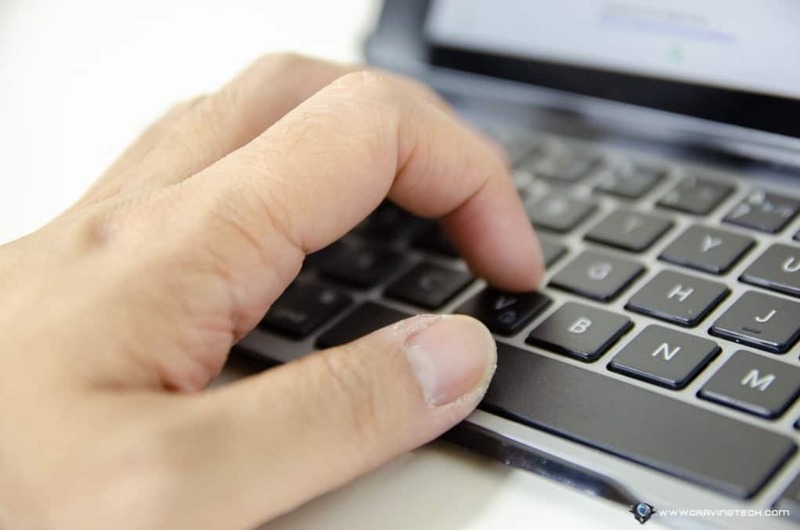 Keys have good tactile feedback which makes it feel great when typing and they are quite well-spaced. 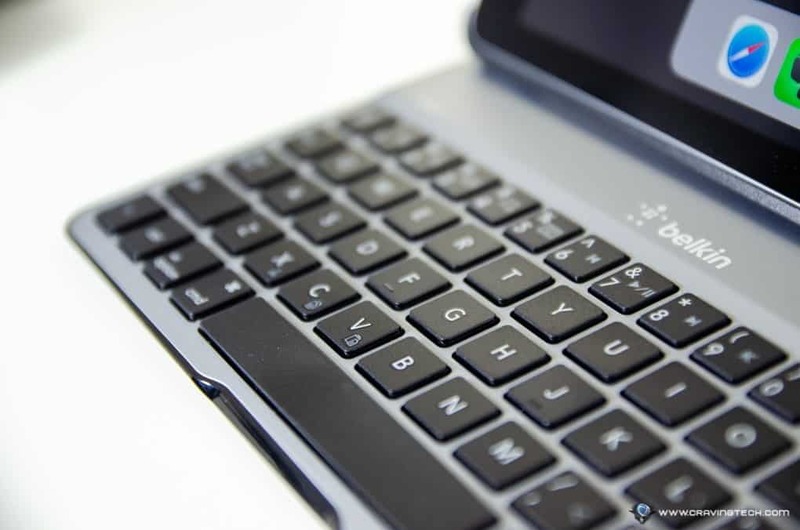 The keyboard has all the essential keys and iOS functions such as volume controls, etc. 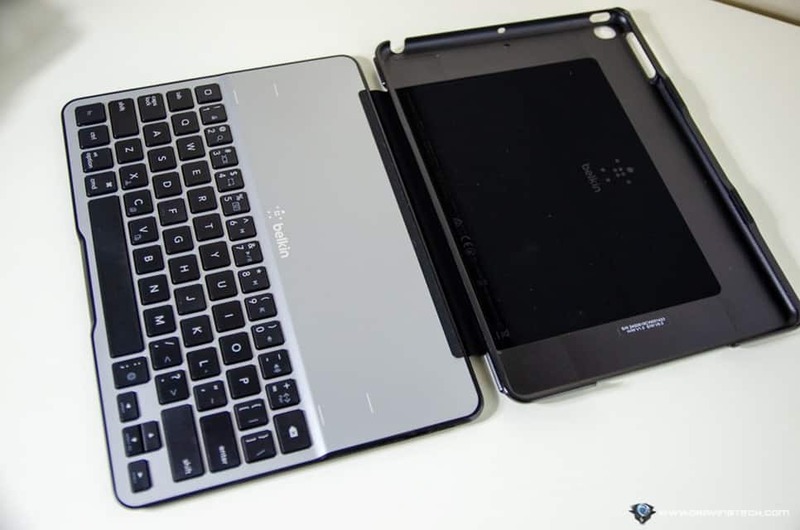 The magnetic design gives the iPad a solid, sturdy click on the keyboard and does not wobble when you are typing on your lap (I do lots of lap typing with my iPad). It may feel like the iPad can fall off at any time from the keyboard, but thankfully, it never did and only in my mind. I’m able to type fast as if typing on a desktop keyboard and the width of the keys are well designed as well. Shifts, Enter, and Space Bar keys have the right size but the “:;” key has to be moved elsewhere as a result. This is fine for most people but because I type the church’s sermon summary every Sunday (i.e the ‘:’ is used very often for typing Bible verses’ references), it will take me some time to get used to. 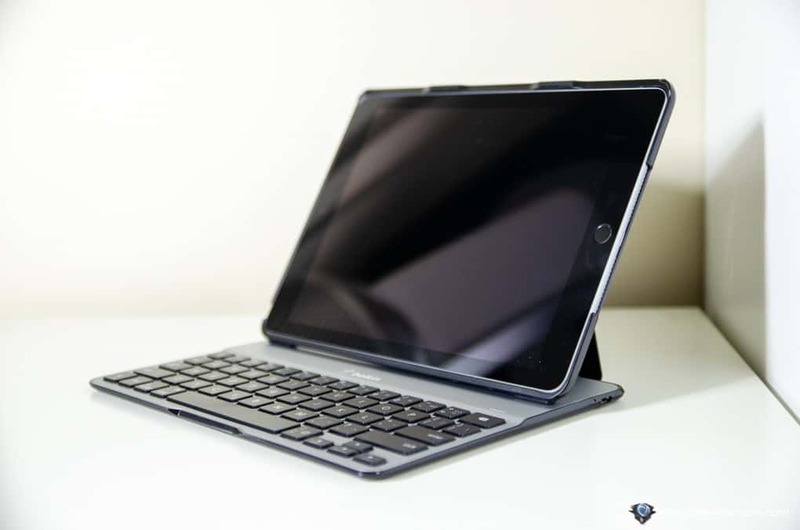 It offers 2 different viewing angles (for typing and movie watching) and the keyboard case can smartly turn itself on when you dock the iPad for typing and turns itself off when you close the case. With this intuitive & smart design, more battery life can be preserved and we’d all appreciate that. 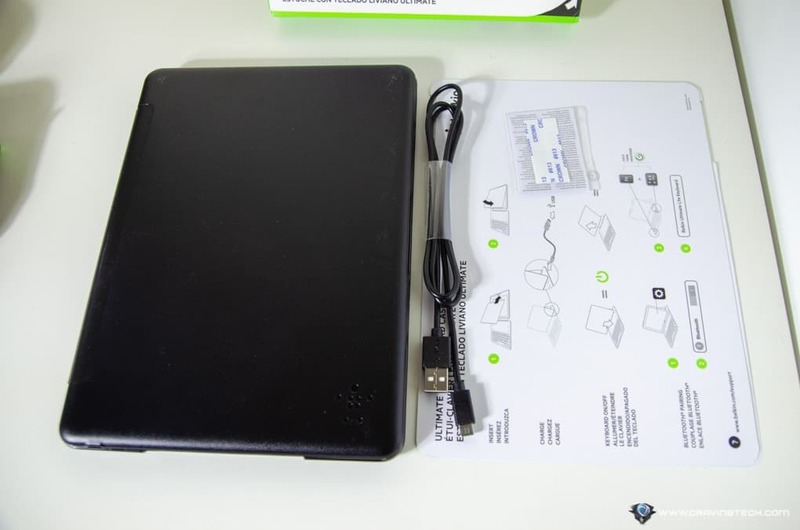 According to Belkin, the QODE Ultimate Lite has around 6 months of battery life when you use it around 2 hours a day. While closed, the case protects the whole iPad body, including the screen with padded solutions. All ports and camera are not covered so you can charge and take photos with your iPad without having to take the iPad off the case. 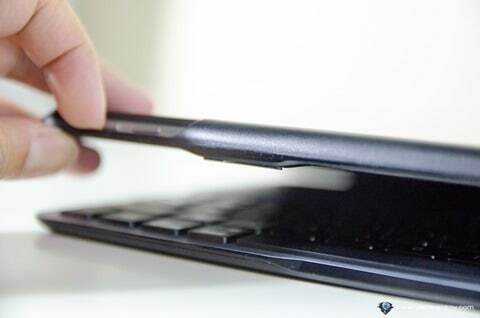 In fact, you do not need to take the iPad off the case, ever. 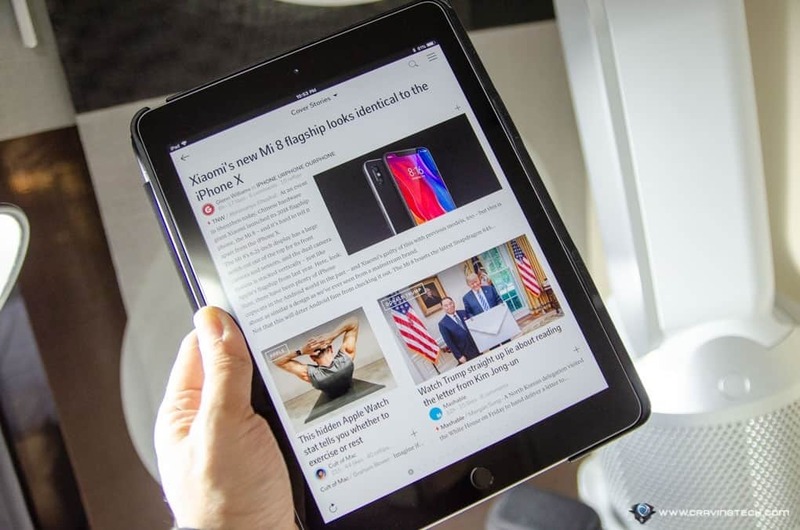 When you want to use your iPad to read news or browse through Facebook, the design gives you the flexibility to fold itself away. 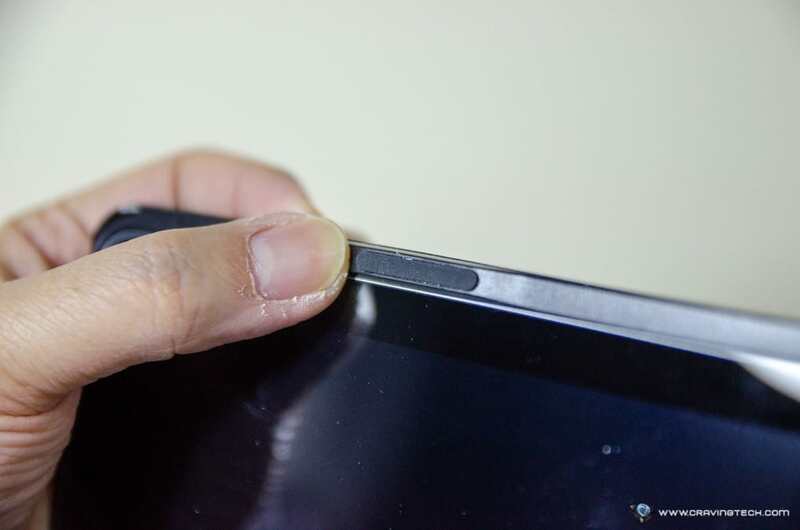 This way, you can hold the iPad quite comfortably in one hand. Sure, it won’t be as comfortable and natural as holding a naked iPad, but unlike the Brydge keyboard I reviewed recently, you do not need to take the iPad off from the case. 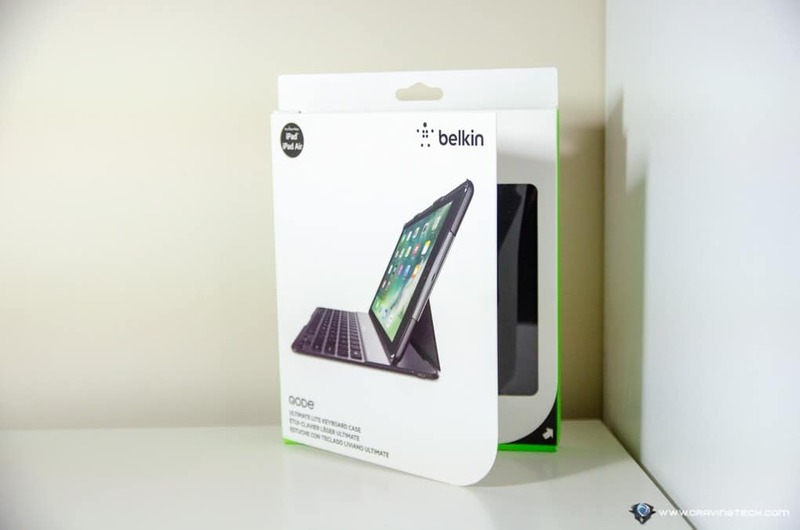 The Belkin QODE Ultimate Lite is a perfect case when you want to get the real productivity out of the iPad, while having a good protective case to use the iPad at the same time to read news or other casual activities.